Orchids may be found everywhere, but which orchid is found where depends on the tastes of their partners. Orchids are one of the largest groups of flowering plants, with over 22,000 species worldwide. 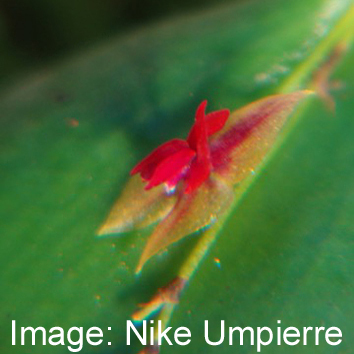 All orchids form symbiotic mycorrhizal associations with fungi. Some species begin this association at seed germination, when fungal enzymes break down the cell walls of the seed. 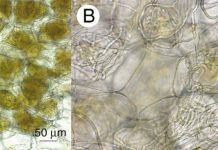 In many species the fungal partner goes on to provide all the nutrients required by the plant during the seedling phase, and in some a lifelong association ensues. In these partnerships, the plant gains access to nutrients released as the fungal hyphae break down otherwise inaccessible soil organic matter. 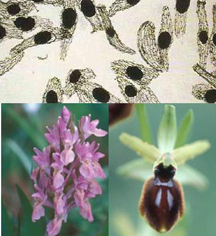 The distribution of orchid mycorrhizal fungi in the soil determines orchid distribution, and understanding the growth and survival of these fungi is an important consideration in orchid conservation. 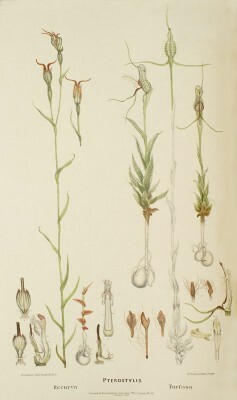 Pterostylis recurva by R.D. Fitzgerald Australian Orchids courtesy of The Swiss Orchid Foundation. 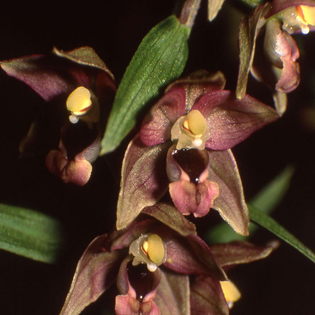 In a recent study of four orchid species, Nurfadilah et al. (2013) examined the breakdown and uptake of a range of nutrients by their fungal partners. The study site was in the Southwest Australian Floristic Region, characterised by nutrient-poor, organic-deficient soils. Fungi were isolated from each orchid species and grown on media containing more than 25 different nutrient types. These contained a wide “menu” of carbon, phosphorous and nitrogen sources. 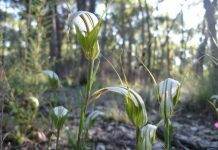 The authors found that the mycorrhizal fungus Ceratobasidium, associated with the more abundant and widespread of the orchid species, Pterostylis recurva (pictured), grew faster on almost every nutrient source compared with the other fungal species. It could also utilise galactose and nitrate from the growth medium (which the others did not, or did so very slowly). The rarer orchid species studied, Drakaea elastica, found exclusively on nutrient-poor sandy soils, had the slowest-growing fungal partner. It is assumed that in richer soils, this fungus would be out-competed by other species. 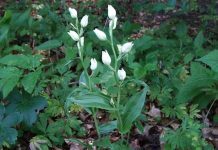 The authors conclude that, in a nutrient-limited area, the ability of an orchid’s fungal partner to make use of a wide range of nutrients can provide both parties access to inhabiting a broader range of environmental conditions. Additionally, different species making use of distinct nutrient sources can occur side-by-side without competing directly for the same resource. Next articleHow do you make a flower? Who cares? Hummingbirds.